WASHINGTON — If you work for industry and want to instead serve in the Pentagon, you had best hope your nomination is already underway — because if not, you might not be getting the job. 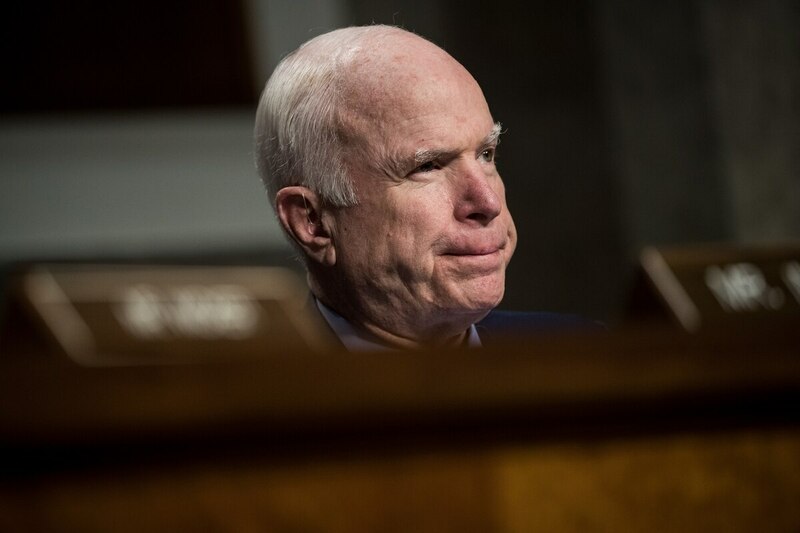 On Thursday, Senate Armed Services Committee Chairman John McCain, R-Ariz., put his foot down on additional industry executives joining the Defense Department. Speaking at a nomination hearing featuring Mark Esper, a Raytheon executive up for the job of secretary of the Army, McCain indicated he would not create an issue for those nominees already undergoing the vetting process. But from this point on, industry figures who are not already under consideration by the committee are unwelcome, McCain said. This is not the first time McCain has raised concerns about nominees from industry, but to this point, he has yet to vote against any of them. Among major jobs filled from the defense industry are Patrick Shanahan, a Boeing vice president who is now deputy secretary of defense; John Rood, a Lockheed Martin vice president who is nominated for undersecretary of defense for policy; Ellen Lord, a Textron executive who now heads the Office of the Under Secretary of Defense for Acquisition, Technology and Logistics; and Ryan McCarthy, the undersecretary of the Army who previously worked at Lockheed.